Atopy- A fancy word for environmental/ inhaled allergies! HanoverView Animal Hospital > Blog > Atopy- A fancy word for environmental/ inhaled allergies! As the trees start to bud, the grass starts to grow and the flowers start to bloom we start to see a dramatic increase in allergy signs in many of our pets. Routine cleaning of ears- sometimes this can help prevent the secondary infections! Try and antihistamine! Did you know that our pets can take benadryl, zyrtec or claritin? If your pet is still very itchy then you may need us. There are many medications that can help your furry family member. 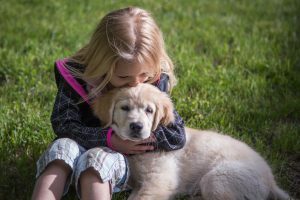 Antibiotics and/or antifungals: Unfortunately many pets with allergies end up with secondary infections- often times one of the first steps in treatment is to treat these infections. Atopica: An immune modulator that takes longer to build up in the system but is very useful for our patients with year round allergies. Cytopoint: An injectable medication that blocks a piece of the itch cascade. Typically the injection lasts 4-6 weeks! Did you know that we are incredibly lucky to have a board certified veterinary dermatology practice in our area? Lehigh Valley Veterinary Dermatology and their doctors are a huge resource and can perform skin allergy testing to create a tailored allergy vaccine just for your pet!